When most people think of careers in aviation, they think of Pilots, Flight Attendants and perhaps Air Traffic Controllers. But, those are just a few of the career options available. Aviation careers also include Ramp Agents, Fuel and Cargo Handlers, Aircraft Dispatchers, Avionics Technicians, Flight Instructors and Air Safety Inspectors. And many of these opportunities come with a substantial salary. Although there is a pending pilot shortage and current demand is high, you don’t have to be a pilot to have an amazing career in aviation. In fact, the airlines are hiring on all levels and at rapid speeds. Airline Ground Schools, a Division of Flamingo Air, offers a number of different programs in the aviation field, and it is one of the largest Aircraft Dispatcher Certification Schools in the world. Based at historic Lunken Airport in Cincinnati, Ohio,, Flamingo Air also has campuses in Miami Fla., and a future campus in Dubai.  Airline Ground Schools also is accredited by ASTM International and the National Center for Aerospace & Transportation Technologies. According to Sharon McGee, Academy President, Airline Ground Schools can train a student to earn an Aircraft Dispatcher Certification in less than six months. It is the quickest and least expensive FAA Certification available.  Plus, the industry is offering entry level annual salaries starting at $50,000. The Dispatcher Certification course is a 200-hour course, but 152 of those hours are completed online at home. Students only need to spend six days on campus to complete the FAA-approved program. Using the same unique curriculum of distance learning combined with traditional classroom training, Airline Ground Schools also offers an Avionics course. To earn the primary certification of Aircraft Electronics Technician (AET), 600 hours of training are required. However, 400 of those hours are completed online at home. The remaining 200 hours of residency lab work can be accomplished in about four weeks. The resulting AET Certificate can waltz you into an average annual salary of $55,000 (according to the Bureau of Labor Statistics).  Since 1991, Flamingo Air has been taking future professional and hobbyist pilots on their next adventure.  Located at Cincinnati’s historic Lunken Airport, Flamingo Air is home to Sightseeing Tours, Flight School, the world-class Airline Ground Schools and its newest program, Worker Bee Drone Training. For more information, visit www.flamingoair.net, or contact them at 513-321-7465 or thecaptain@flamingoair.net.